The Teen Scene has had an influx of series expanding books! If you are following a series, check out our new items to find some great reading for these dreary days. If you’re looking for something new, read on to find a new obsession. This series involves retelling classic Disney versions of fairy tales. Each book twists on “what if”? A Whole New World, for instance, asks “What if Jafar, not Aladdin, summoned the genie?” It’s fast-paced reading and just might bring back childhood connections with the Disney Princess movies. 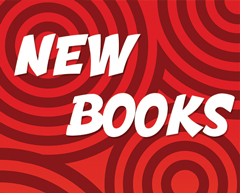 We’ve added three new books from the series: A Whole New World, (Aladdin), As Old as Time (Beauty and the Beast), and Part of Your World (The Little Mermaid). Another series for older Teens, The Every Day trilogy follows “A,” a non-gendered being who inhabits a different body each day, and Rhiannon, the girl s/he falls for during one of these “hops.” This lyrical, thought-provoking series of magical realism takes the trading places trope to a new level of introspection. The first book in the series, Every Day, has won several awards for its appeal to older teens/adults and LGBTQ readers. Subsequent novels, Another Day and Someday, follow the same characters. Another Day is a companion novel that tells basically the same story from a different perspective and can be read as a stand alone. Someday expands beyond “A” and Rhiannon, exploring other beings like “A” and issues beyond the romantic relationship. A dystopian sci-fi series, Word$ examines the cost (literally, in this case) of speech. All Rights Reserved follows Speth Jime as she accidentally ignites rebellion that impacts her society’s culture, economics, and government. The 2018 YALSA award-winner’s sequel, Access Restricted, picks up the action and raises the stakes. Moving beyond free speech, Katsoulis addresses economic inequality, slavery, and refugee/border relations issues. Fast-paced and timely, this series fits squarely into the Teen YA, grades 8-12. The Ninja’s Journey series combines Asian-influenced historical fantasy and a touch of horror with an action-packed coming-of-age storyline. In Deadly Flowers, Kata, the female protagonist, must make a life and death decision as she puts her training to use for the first time. The results of that decision put her in conflict with powerful beings both human and supernatural. In the sequel, Deadly Wish, Kata meets unusual creatures from Japanese folklore and wrestles with the question of whether to face her challenges alone or trust in friendship and loyalty. This series will feed the imagination of tweens and teens. Readers who have enjoyed the adventures of Miss Peregrine and the inhabitants of “peculiardom” will be glad to hear that Ransom Riggs is continuing their adventures beyond the original trilogy. Jacob and friends are still around, but the setting has shifted to North America. The idiosyncratic vintage photographs that inspire and illustrate the first books continue into this new series, but they move into the sphere of color. These creepy, atmospheric books that mix history with fantasy, art with time-looping extend in appeal from young teens to a solid adult fan base. The author of the Divergent series began a new series in 2017—a space sci-fi/fantasy. Akos and Cyra are teen protagonists from enemy nations connected to “the Current” and gifted by it with powers that are not always welcomed. Fans of Divergent will enjoy finding out how the teens navigate their personal struggles and those of their society in books featuring more violence and less romance than their forerunners. This series is heavy on world-building, political intrigue and war, and is written from multiple perspectives. For readers who are more interested in stories set in the real world, the Ape Quartet provides an exciting, suspenseful, and serious look into the world of human-animal relationships. These “green reads” are emotionally intense adventure stories that crossover between J-lit and Teen. Most are set in Africa and have a strong sense of place. Each has a different ape and human protagonist set. Endangered, the first book in the series, deals with survival in war-torn Congo and is rated for grade levels 8-12. Each subsequent title shifts downward in age to the newest book, Orphaned, set in the Great Rift Valley of Africa 600,000 years ago and graded at 4-7.